If you’re a veteran reader of this blog, you’ll know that Badass Lady Creatives believes representation is an important and powerful force. To that end, a new-ish favorite project on the badassery radar is Tomorrow Looks Bright, a weekly email newsletter run by Kristy Tillman (Design Director at Society of Grownups and former co-founder of the Detroit Water Project with Tiffani Ashley Bell). 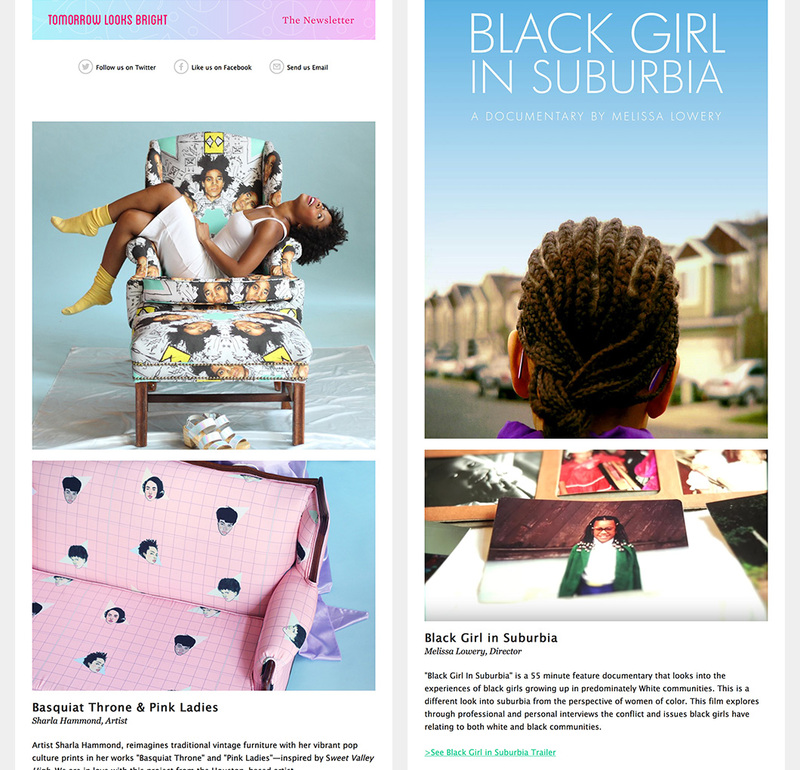 Kristy’s newsletter project celebrates “the best in creativity from Black women around the globe”, and yep, there’s a submissions form! 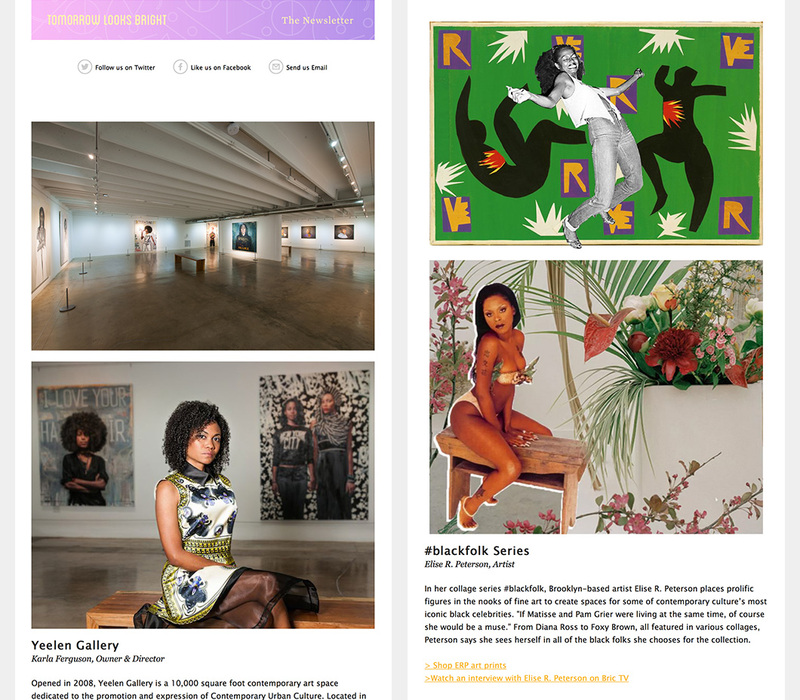 Where BALC features a lot of portfolios, TLB is focused more on specific projects and products by Black women the world over. The issues in Tomorrow Looks Bright are global not just geographically, but also in specialty. Kristy’s featured fashion brands, galleries, digital products, documentaries, and lingerie lines, to name just a few past issues. TLB has generated plenty of support and feedback in its 17 issues to date. For Kristy, the most exciting moments are when someone reaches out to say that they’ve purchased something from a maker featured in Tomorrow Looks Bright. Tomorrow indeed looks bright, as TLB is working on an upcoming issue called “Little Sisters”, a selection of “young makers” under 18. Kristy says, “I’ve received submissions from a few teens and it became obvious this is something we should explore.” Given how directionless and self-doubting I was in high school, I’m already so blown away by this next generation and can’t wait to see the issue. I asked Kristy who she would love to collaborate with on a future dream project. This turned out to be the most challenging question, due to the sheer amount of talent shown in TLB thus far. Kristy narrowed it down to a fantasy project with Maryam Pugh, a collaborator on The School of Thought collection highlighted in issue 9. 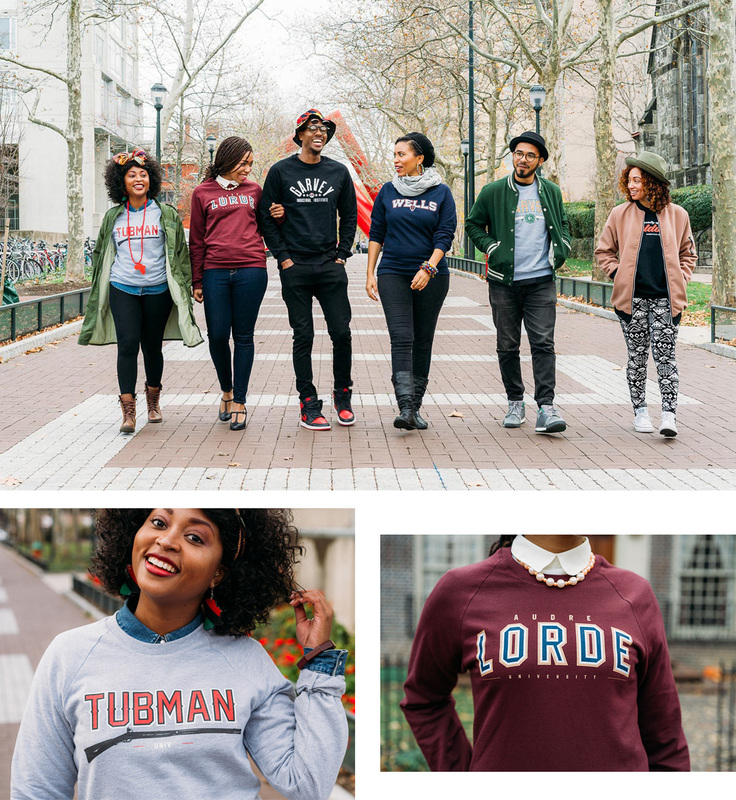 “I think the sweatshirts are just so smart and fresh,” Kristy says. “I’d love to team up with Maryam to work on a line of womanism /girl gang t-shirts for the Tomorrow Looks Bright brand.” I have a hunch Kristy and Maryam would have to restock those t-shirts pretty quickly. Check out back issues of Tomorrow Looks Bright and sign up for future issues on the website, and don’t forget to submit your own work!